A classic focal length and a classic design, the Nikon F-mount Planar T* 50mm f/1.4 ZF.2 from ZEISS is a normal-length prime ideal for working with most subjects. Its bright f/1.4 maximum aperture excels in low-light conditions and also offers greater control over depth of field for using selective focus. The Planar type optical concept is a tried-and-true design that yields consistently high sharpness throughout the focusing range with even illumination throughout the aperture range. Also, a T* anti-reflective coating has been applied to individual elements to control lens flare and ghosting for improved contrast and color accuracy. Normal-length prime is designed for FX-format Nikon F-mount cameras, however can also be used with DX models where it will provide a 75mm equivalent focal length. Fast f/1.4 maximum aperture affords extensive control over depth of field for achieving selective focus effects and also benefits working in low-light conditions. Planar optical design affords high sharpness and consistent performance throughout the focusing range to suit photographing at a wide range of imaging scales. Manual focus design enables a minimum focusing distance of 1.5'. All-metal lens barrel and mount offers high durability and rigidity. A nine-blade diaphragm contributes to a pleasing bokeh quality when working with selective focus techniques. Box Dimensions (LxWxH) 5.2 x 4.5 x 4.4"
Planar T* 50mm f/1.4 ZF.2 Lens for Nikon F is rated 4.6 out of 5 by 72. Rated 5 out of 5 by Hilmi from Interesting lens. Not for everyone As a normal "modern" buyer it was really important to read and watch all the negative feedback of other people. But.... This lens is interesting. It is creamy at 1.4 to 2.8 but it really gives an artistic view instead of anger. You should keep in mind what is the purpose of photography? Are we looking for a lens for forensic photography?? Noo. We are looking for pictures giving others our feeling at the moment we press the shutter. If you are looking for a lens with good color representation and some art in it don't hesitate. It is a very good lens and it is going to be difficult to find an unused one these days. Rated 4 out of 5 by Peter L. from Zeiss Quality This lens is essentially an entry level Zeiss and baby brother to the Makro Planar 50mm they offer. I went with this one because I don't do macro work, and the optics are excellent. My only complaint regarding the lens is that the amount of travel from close to infinity on the focus ring is too short, and it makes critical focus harder than it should be. It still works fine and you get used to it. It works perfectly in all modes on my DF and on my D4s. The build quality and optical characteristics are exactly what you'd expect from Zeiss, and beat any Nikon or Canon options be a lot. Rated 5 out of 5 by Rick from Small. Sharp. Tough. And EZ. I'm a pro video shooter and I chose this Zeiss 50mm, 1.4 over the Sigma ART 50mm, 1.4, and the Veydra 35mm E-mount 2.2. I tested it for a few days against the other two. The Zeiss and the Sigma were about equal for resisting lens flare. I own the Veydra and had seen the flares on occasion and was able to duplicate it in my own testing environment. When the Veydra flared, the other two did not. The Zeiss is manual focus only (like the Veydra) but for video shooting that's all I need. What's more (or less) is the small size of the Zeiss. So easy to carry even in a pocket while running and gunning. The manual focusing of the Zeiss was so smooth and long travelled that I love it. It's mine now! Rated 5 out of 5 by Terry from Best. Lens. Ever. The Zeiss reputation continues. Before buying this lens I had given up on ever achieving the same sharpness and contrast from my Nikon I have come expect from my Leica system. Now, I can finally utilize the massive files of the D800 to their fullest extent. This lens produces results heretofore unobtainable from a DSLR. There is a richness you cannot replicate, a sharpness you will not attain and a feeling I've only found from the finest German lenses. Rated 4 out of 5 by Ming from Great lens but not excellent This is my 2nd Zeiss ZF.2 lens after my purchase of the 28mm (which is an excellent lens by the way). I was hoping the 50mm would produce the same level of amazing quality as the 28mm especially shooting at wide open.The lens design and construction is very high quality, same as other Zeiss lens. But this 50mm lens does not perform any better than the Nikon f/1.4 at wide open or f/2. The color rendition is better in my opinion, however.It is great lens by any standard, but I think the Nikon f/1.4 with AF-S, it is a better choice for the $, plus AF. Rated 5 out of 5 by Pattymac Knits from Hello Gorgeous! I have been looking for ways to get my digital images to seem softer and more film like. I feel like this lens helps me to achieve that. I won't lie to you. Manual focus is a challenge, and it is hard for me to tell if I'm where I want to be. But, I've only used the lens a couple of times, and I like to shoot as wide open as possible. I think my accuracy will improve with use. I was also interested in this lens, because it was recommended for use with video, and I would like to start shooting short films. Rated 5 out of 5 by Anonymous from Wonderful Lens I just bought this Lens for my Nikon D3100.. This lens puts the kit lens to shame! The bokeh is ridiculous. I plan on keeping this lens on from now on.. I have only used it a couple of hours but the video I took was phenomenal.. Truly Amazing! I would like to use higher aperture in lower light.. That is the only thing I have trouble with.. I guess I need a full sensor.. The focusing is a little hard to work with but there's a little light that turns on when your in focus, otherwise I would have much trouble like I was having before noticing the light.. Can't wait for the nikon's new camera to tear up the 5d!! im totally new to using nikon and wanted to know is this compatible with the fm3a and FA film slr's? 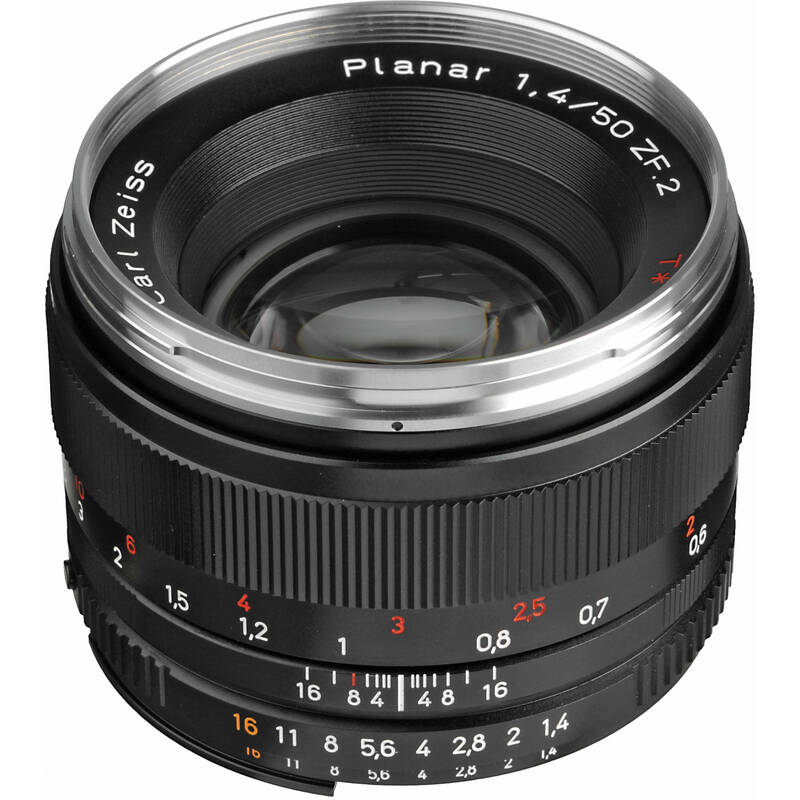 The ZEISS Planar 1.4/50 ZF.2 is compatible with this camera model. For a complete compatibility listing, visit: https://www.zeiss.com/camera-lenses/int/photography/content/camera-mounts.html#zf-lenses. How do you mount the lens? As in, do you have to put the aperture ring to the orange/red numbers? Yes, I did make sure it was for my nikon. And how do you set the aperture? Do you use the camera body sun dial, or do you use the aperture run on the lens? I have a Nikon D750. Hello Aaron: you mount the Carl Zeiss 50mm just like you mount any Nikon lens. It works exactly the same way the only difference is that you have to set your camera manually with the iris and focus once you get used to it it's a beatiful glass for pictures and video. Worth the buy! I just got the Nikon D750. I just want to make sure that this lens can be used; because the manual says to use Nikon accessories only . So would it be able to be used safely with out camera damage, or not? Yes, this lens fits into any Nikon, I use it with my D800. 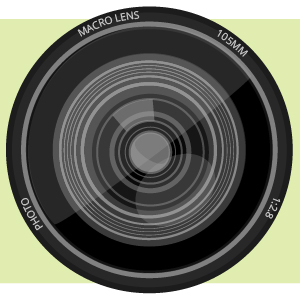 Does the aperture ring click at each f/number or is it a smooth dial? Yes that lens has f/stop clicks, at the half stop. Yes, The ZEISS Classic Planar 1.4/50 ships with a metal lens shade that can be reversed for storage. can I buy this new from you in a de clicked version? ZEISS does not provide a declick service on the Classic SLR lenses. The new Milvus ZF.2 series offers a declick feature that is part of the lens and can be changed by the user between 1/2 stop clicks, or continuous. Will I have manual aperture control when using this lens with the Black Magic Pocket Cinema Camera (using a dumb Photodiox Nikon F to MFT adapter)? yes, you can. Agree, with previous answers. It has F-stop ring. It is manual. Is there an adapter to the full frame NEX a7 which would transmit the focus confirmation light?